Buenos Aires-based Igarreta Maquinas is an established name through Argentina, and is also Komatsu's only official distributor in the country. ALLU has announced Igarreta Maquinas is its new distributor in Argentina. The company will not only be supplying the comprehensive range of ALLU Transformer and Soil Stabilization equipment, but will also be providing full aftermarket care, spare parts and dedicated customer service. ALLU's world leading Transformer series needs no introduction; but now customers throughout Argentina will be able to benefit from even greater levels of support through its new distributor, Igarreta Maquinas. The appointment of this distributor reinforces ALLU's commitment in providing even greater levels of customer focus, and further enhances its locally focused customer support, whilst at the same time enabling customers to benefit from dealing with a truly global company. 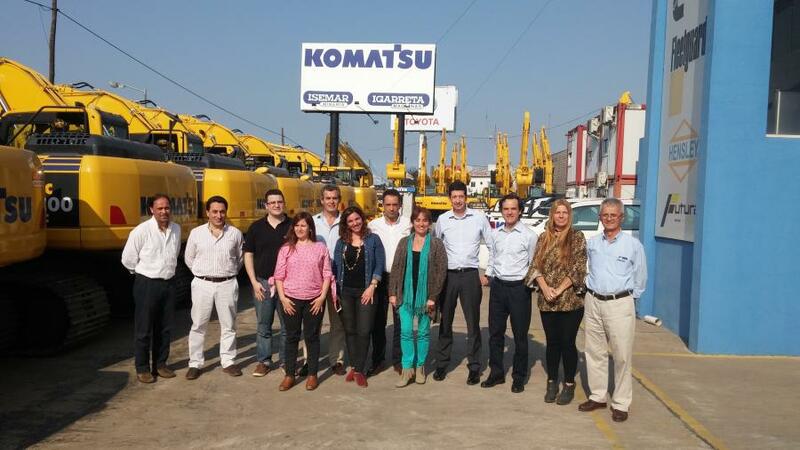 Buenos Aires-based Igarreta Maquinas is an established name through Argentina, and is also Komatsu's only official distributor in the country. The company has placed an emphasis on developing long term partnership relationships with its customers with continual training and development of its employees being key to its success. Thus with offices, workshops and service engineers located throughout, the company has since its foundation in 1999 successfully serviced the requirements of the Argentinean construction, mining and forestry industries. In addition to the local support which will be provided to customers by Igarreta Maquinas, when the need arises, the company will be able to call on round-the-clock support from ALLU's head office in Finland. This will further enable customers to benefit from the specialized advice and assistance that has made ALLU the world leading supplier of material processing attachments – the Transformer series. “We are sure that the combination of ALLU equipment and global aftermarket support, together with the local knowledge and industry expertise of Igarreta Maquinas will enable ALLU customers throughout Argentina to benefit from a winning combination," said Marjut Lindroos, group marketing manager ALLU Group. Igarreta Maquinas was appointed the ALLU Distributor for Argentina on Sept. 29.